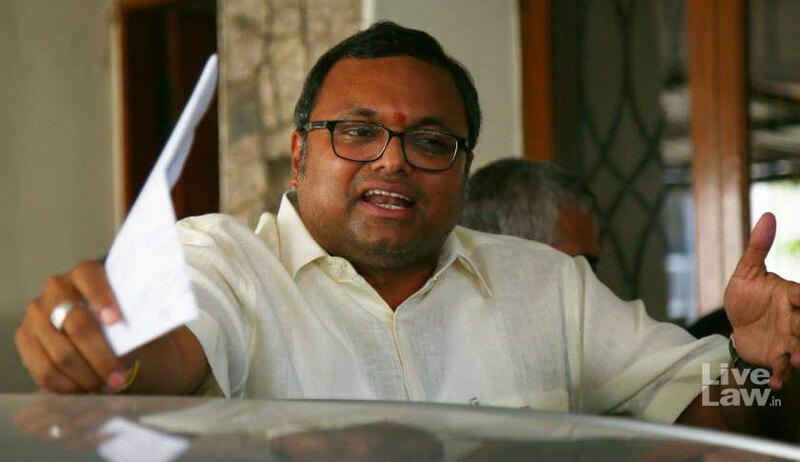 The CBI on Thursday got custody of Karti Chidambaram, son of former Union Finance Minister P Chidambaram, for five more days in the INX Media case. Special judge Sunil Rana gave CBI Karti's custody for another five days after the probe agency told that it has ‘shocking’ evidence about what Karti did on his recent visit to the UK. The CBI told the court that Karti had closed certain accounts during his visit overseas. Karti's counsel senior advocate vehemently opposed all arguments. The court then remanded Karti in CBI custody till March 6. The court also allowed him to meet his lawyer Abhishek Manu Singhvi every day for an hour while in CBI custody, besides carrying his prescription drugs. Home food was not allowed. On Wednesday, Karti was remanded in CBI custody for a day after he was produced before the duty magistrate late in the day. The CBI had sought Karti’s remand for 15 days saying he has been evasive in his response and given statements contradictory to the evidence. Karti was arrested by the CBI from Chennai airport on Wednesday morning on his return from London and was brought to Delhi. Singhvi has been emphasising that Karti has no connection with Strategic Consulting Pvt Limited, which allegedly received kickbacks and that he has always been cooperating with the CBI and the ED. He had also submitted before the court that “I am not a Hindustan leaver, I am Hindustan returner”. It is to be noted that the CBI had registered an FIR in May 2017. The CBI alleged Karti used his influence in the Finance Ministry to help INX Media get approval for foreign investments from three Mauritius-based investors during P Chidambaram’s tenure as the Finance Minister. INX Media allegedly received approval from the Foreign Investment Promotion Board (FIPB) for Rs 4.62 crore investment, but received Rs 305 crore by sale of shares at a premium of Rs 800 per share instead of Rs 10 as mentioned by the company in its application. The CBI alleged that after the Income Tax department started investigating, INX Media roped in Karti’s company called Chess Management Services Pvt Ltd “to get the issues resolved” by influencing officials of the FIPB. The ED had claimed that chartered accountant S Bhaskararaman has been assisting Karti in managing the money received through illegal means. Bhaskararaman was arrested on February 16 by the ED.